SPF Clothing and You. Is SPF Rating Just For Your UV Protective Clothing? What is Your SPF Number? SPF clothing is really sun protection clothing with sun protection factor all in one. Normally, spf rating is for sunscreen but some companies tend to use them for clothing too. For instance knowing your SPF number could help you prevent harmful UV rays from reaching your skin. The higher the SPF number on the product the more you are protected. I always look for the highest SPF number available on the market. 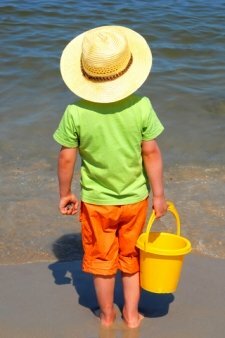 If you get a sun burn in 10 minutes, then a spf 15 will protect you for 150 minutes(10 x 15) assuming you don't wash it off or sweat too much. The purpose of this page is to make you aware of SPF clothing , even though uv protective clothing is usually rated by UPF (Ultraviolet Protection Factor). How Do You Benefit from SPF Clothing? As long as you have them on, you know that you are protected and not need to re-apply anything, except where your skin is not covered. When Do You Need to Wear Them? You need to have them on every time you are planning to go outside in the sun. Same is true even if it's partly cloudy or overcast. Always wear them when you are walking, hiking, driving, shopping, or especially taking a long trip. The ultraviolet radiation could be much higher at your planned destination. What Does SPF Clothing Include? SPF or sun protection clothing is made of very tightly woven fabrics. 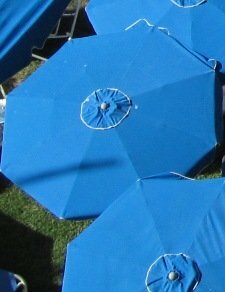 This prevents most of the sun's damaging UV rays from hurting your body. That's the reason for them also being called UV protection clothing which is measured on a UPF rating system. The higher the UPF number, the lower the amount of ultraviolet ray passing thru the fabric. The range is from 15 to 50+. UPF 50 plus would be ideal. Simply click here to go to SPF Clothing Review and Stories.